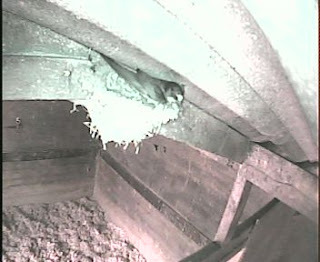 They are still repairing the nest. Particularly the right hand edge. They've also been clearing out bits from inside.